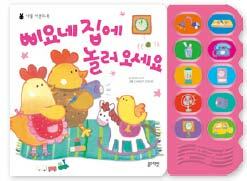 Kids love the sound of music and this sound book is great for the EQ development of young babies. Push the button to hear the sound of each instrument, as well as pushing them all together to hear an orchestra. The sound book contains the sounds of 10 things that can be found at home. Babies can learn the sound of each object and connect the sound and the usage of the objects through various activities of seeing, hearing and touching. Whoo-Whoo, What Time is It? can be turned and numbers that make sounds when babies push them. With the cheerful sound of brushing teeth, this book teaches kids why they have to brush their teeth and how to do it. When babies push the button, you can hear the sound of brushing teeth. While having fun pushing the button, they learn how important it is to brush their teeth. My Poop Is Pretty, Isn't It? The sound of the toilet flushing help children understand as they are being toilet trained. Friendly characters help children feel comfortable about learning to go to the toilet by themselves. A collection of 6 English children’s songs that are familiar and easy to sing along to. Illustrations related to the songs and lyrics help parents and kids sing along together. When they push the sound button, a cheerful song flows out. And the rhythm button makes glittering lights and delightful rhythms. A colorful baby animal face on the cover draws the babies' attention. The doorbell rings when it is pushed. Babies can enjoy a story about friendly neighbors and friends when they turn the pages and lift the flaps. A colorful baby animal face on the cover draws the babies' attention. A shutter noise is made when the camera is pushed. Babies can enjoy a story about friends and food as they turn the pages and take pictures. Play the "Nose, Nose, Nose" game with your kids and help them learn the positions and functions of the eyes, nose, mouth and ears on the face. When babies touch the round nose in the book, it makes a beep-beep sound. It helps little children develop their small muscles and hand-eye coordination. 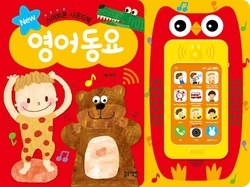 With the detachable smart phone in the book, you can listen to English songs whenever and wherever you want. Exciting songs and funny sounds will start to play with just a push of the button. You can also keep the smart phone inside the case. 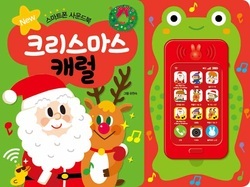 With the detachable smart phone in the book, you can listen to Christmas carols whenever and wherever you want. Exciting songs and funny sounds will start to play with just a push of the button. You can also keep the smart phone inside the case.